The Coin Laundry Association (CLA) represents a nationwide network of thousands of independent laundry owners, equipment distributors, and manufacturers who are part of a $5 billion-per-year industry. As the organization works to help members advance their businesses and increase revenues, it is equally committed to making a positive impact through the LaundryCares Foundation, a 501(c)(3) charitable arm. CLA members have played a regular role in the LaundryCares Foundation “Free Laundry Day” program. The events helped provide complimentary laundry services for customers in need and offered literacy programs for children in those communities, but the organization wanted to make an even bigger impact. 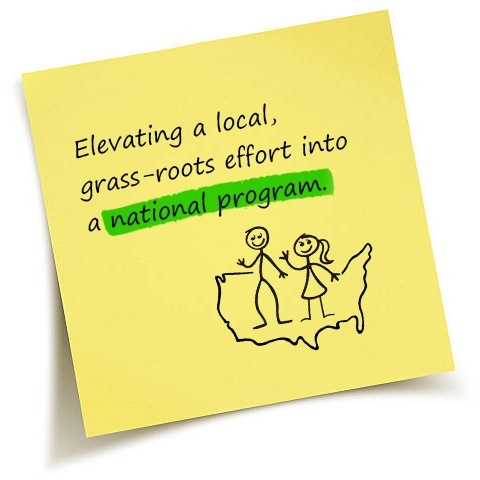 Rather than one-off programming in individual communities, the members recognized that there was an opportunity to raise the profile of CLA’s members and make a difference that could ripple across the entire country. To do it, though, they needed help from outside the laundry industry. Designed a two-day program to unite a range of 26 organizations including Libraries Without Borders, the Clinton Foundation’s Too Small to Fail, the Library of Congress, the American Library Association, and the Barbara Bush Foundation for Family Literacy. The summit gave all participants an understanding of how laundry facilities can address the challenges of literacy. After a dynamic dialogue facilitated by MYB that helped the audience recognize the potential to create a cross-country impact on the next generation of readers, all the organizations in attendance have agreed to form a coalition to fund new initiatives that can transform a “LaundryCares” mindset into an approach that uses laundry to make a big difference.